Being a supplier of many bamboo products I thought I’d share an article from the World Resources Institute about the beauty of this plant and it’s part it plays in helping our world. In the world of forestry, bamboo doesn’t always get the credit it deserves. Dismissed as a weed or marginalized in traditional forest management, bamboo could actually play an important role in forest and landscape restoration. With adequate attention, investment, and the right standards in place, it could become a major renewable and sustainable crop—if we can update our outmoded view of it. Perceptions of a natural resource often shape how it is used. In this case, bamboo’s problem can be traced back to the 18th and 19th centuries. The advent of modern agriculture and modern forest management changed the European approach to plant management. Forests became a commodity valued as “timber,” while other plants were divided between “crops” (valuable plants) and “weeds” (unwanted plants). This framing has persisted into modern times, and leaves little space for bamboo. Stuck somewhere between forestry, horticulture, and agriculture, bamboo doesn’t fit neatly into any category. Many years later, international forestry institutions still tend to overlook bamboo as an important natural resource. This is unfortunate, considering the role bamboo could play in alleviating some of the demand on forests. In the midst of climate change and rapid global development, we face an urgent need to provide innovative responses to natural resource use. Bamboo is one of the fastest-growing plants on the planet. With approximately 1,400 species, it is highly versatile and rapidly renewable. Long used as a timber alternative for furniture, charcoal, crafts, and food (in the form of bamboo shoots), new technologies are extending bamboo’s value in flooring and construction, for pulp and paper, viscose and rayon fabrics, and even in the construction of wind turbines. Yet bamboo’s potential continues to be overshadowed by outmoded policies. In order for bamboo to compete with established commodities in the global marketplace, it needs to adhere to recognized standards of sustainability. Yet those standards, such as Forest Stewardship Council (FSC) certification, have fallen short amongst bamboo practitioners who wish to see bamboo recognized as having specific management requirements as a grass and not a tree. Moreover, because bamboo plantations are often in areas of low economic development, it can be difficult for farmers to shoulder the associated costs of a certification like FSC. In response, the Rainforest Alliance is developing an alternative natural fibers standard, open to public review until March 17, 2014. Creating a recognizable, accessible sustainability standard for bamboo farmers in the marketplace could spark new development of bamboo industries. Should this standard become a certification scheme, however, there is no guarantee that it will alleviate the significant challenges inherent in third-party certification standards for smallholders. Much work still needs to be done to create equitable, global standards for bamboo small-holders. 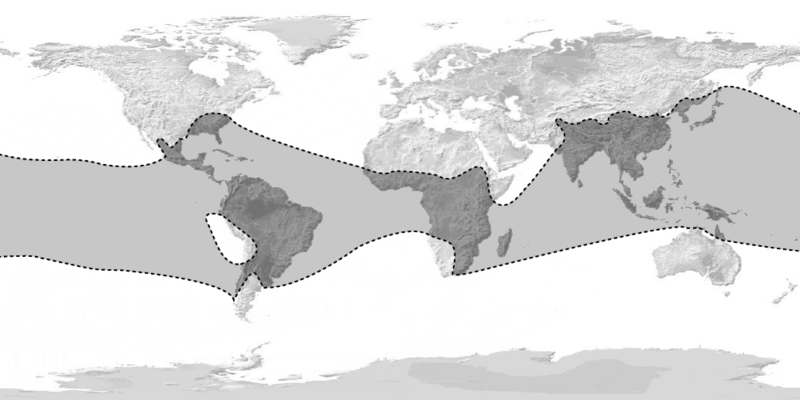 Bamboo could also play an important role in the growing field of forest and landscape restoration (see map). To date, around 47 percent of the world’s potential forest area has been cleared or degraded to make way for crops, cattle, cities, and roads. The 2011 Bonn Challenge calls on governments to restore 150 million hectares of degraded and deforested land by 2020. As a native species across tropical, sub-tropical, and some temperate areas bamboo could contribute significantly to restoring degraded landscapes. In order to achieve large-scale restoration, artificial boundaries of forestry and agriculture need to be assessed and landscapes viewed as “mosaics” – areas that can provide different functions. 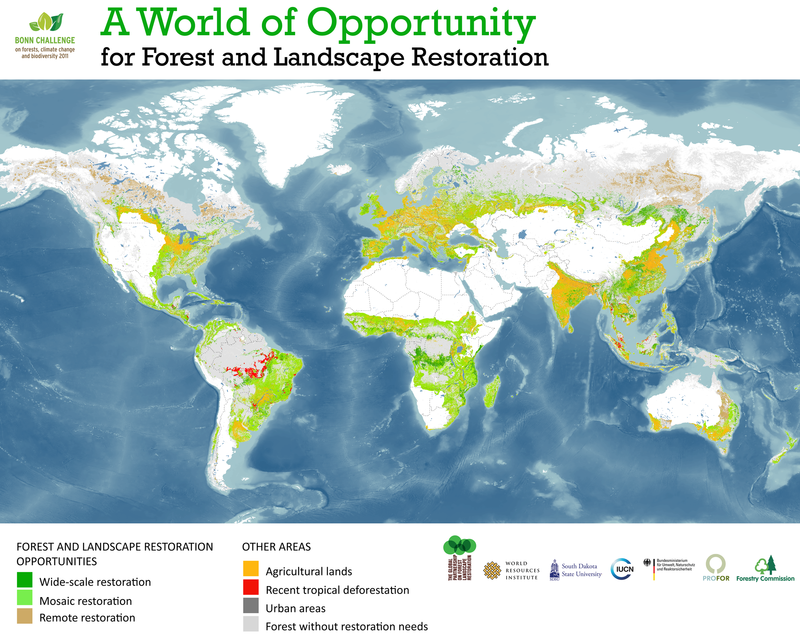 Globally, 1.5 billion hectares would be best-suited for mosaic restoration, in which forests, trees, and bamboo could be combined with other land uses, including agroforestry, smallholder agriculture, and settlements. By planting bamboo in parts of landscapes, degraded lands could be restored to productive use, thereby alleviating some of the development pressures on forests. 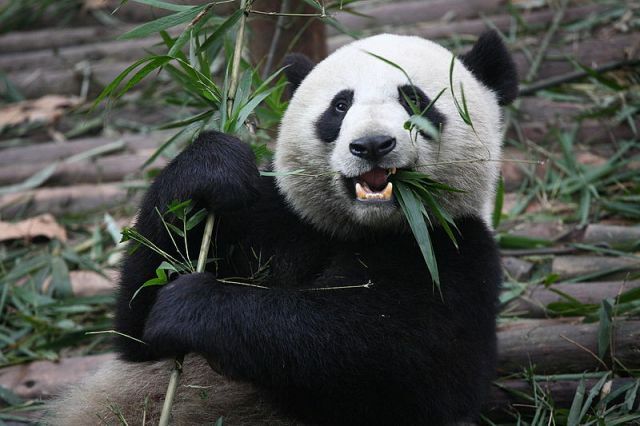 Case studies of bamboo restoration remain relatively small-scale, but some have shown promise. In Africa, the organization African Bamboo is preparing nurseries for large-scale restoration of degraded lands with bamboo. In Latin America, EcoPlanet Bamboo has been active in Nicaragua, restoring 5,000 hectares of degraded pasture land. Likewise, in India, INBAR completed a prize-winning bamboo restoration project, which turned a degraded mining area into green, productive land. Of course, bamboo cannot be a panacea; there are still management and propagation challenges to overcome, as well as concerns that it is grown and harvested sustainably. For example, plant monocultures—like some bamboo plantations in China—can lead to increased susceptibility to pests and diseases, as well as soil degradation and a loss of biodiversity. However, if done correctly, bamboo can contribute to restoring degraded land globally whilst providing sustainable industries and livelihood development. Developing bamboo management standards to guarantee sustainable supply and production. History has shown us that the value of natural resources changes throughout time. It is time to reassess bamboo’s famous “weedy” reputation and evaluate how it can be used for climate change resilience and restoration. Today’s weeds can become tomorrow’s valuable resources.